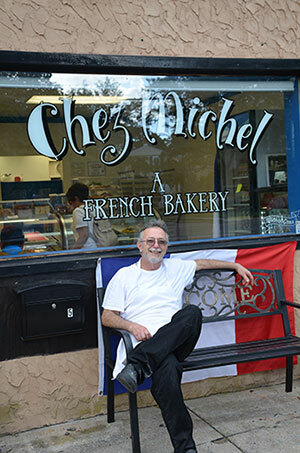 Michel Gras is a classically trained French pastry chef with 35 years experience. His passion for doing only the very best is reflected in his spectacular wedding cakes. His artistic talents can also been seen in everything he does, from creating a one-of-a-kind cake for your special day to providing exquisite pastries for any occasion. And, most importantly, it all will be delicious! "It was absolutely glorious...both beautiful and delicious." "I have never tasted a better wedding cake!" "Everyone raved about the cake!" Michel's wedding cake was awarded "Best Tasting Cake" at the City of Hope Bridal Show at the Bellvue Hotel in Philadelphia, April 2006. Voted Best of the Shore 2007. Voted Best of Weddings by The Knot in 2010. Michel Gras will celebrate 35 years in business in Cape May.